Have you heard of delightful user experience (UX)? Here we give you the basics to improve your web presence with delightful user experience. We want to make sure that you get the focus points of user experience for bloggers. You don’t need to learn all about UX, so we want to give you the action points where you should be focusing your attention for a more converting blog. User experience (UX) refers to the perception and feelings that a user has while interacting with a product or a service. But, who are your users? Anybody that visits your website, buys one of your products, reads one of your ebooks, basically anybody who gets in contact with any of your products whether they are physical or digital products. What is delightful user experience? Not every website neither every part of your website needs to reach the highest level of user experience. 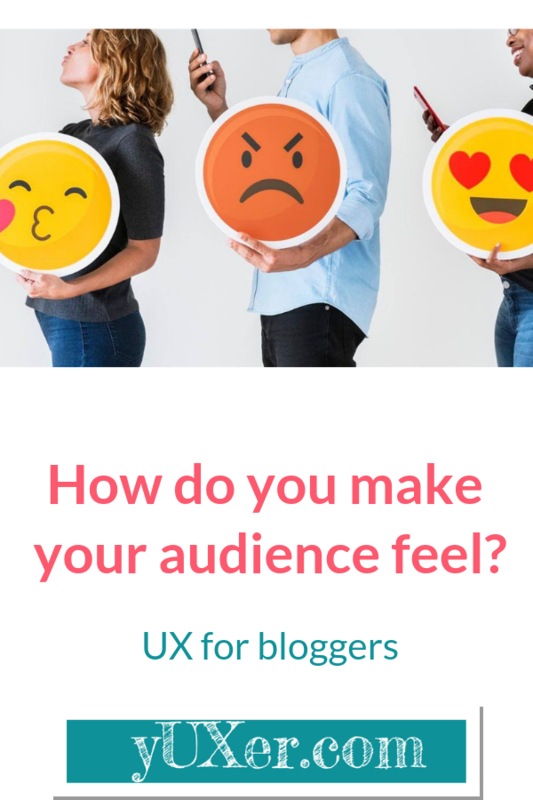 You want to make sure that your users feel comfortable and engage with your content and this may means to offer a convenient experience, depending on your niche you may want to offer a pleasurable experience. 6. Functional: You want your website to be functional, to technically work. Basically making sure that your users can access it and work with the different features you offer. e.g. menus, buttons, forms, etc. 4. Usable: You want to make sure your website serves a purpose for someone and that purpose can be achieve by whoever visits your website. E.g. your visitors should be able to access the full list of blog posts. your visitors should be able to easily find your shopping art AND complete a purchase without hustle. 2. Delightful: At this level is where you achieve not visitors but fans! Your audience feels pleasure in visiting your website, accessing your content and using your products. This is where your marketing strategy will turn into word of mouth. People will love what you are making them feel, will come back and will recommend you. Where are you at in your user experience journey? Do you have users or fans? How can you improve your blog’s user experience? Have you ever checked in a hotel and find a lovely note in your room with your name and a box of chocolates? How would you feel? What would be your opinion about the hotel at that moment? Now, imagine they would take the time to ask you how do you prefer your coffee in the morning and for the length of your stay you will get a fresh cup of coffee the way you like it first thing in the morning. Some people call it attention to detail, but it goes beyond that. The hotel has taken the time to get to know a bit more about your preferences, in order to make you feel comfortable and welcome. This is the first step to provide a great experience: Get to know your audience. To do so you will need to establish an open channel of communication with your current and potential audience. What you need to know about your target audience. What if you are not making everybody happy? If you have taken the time to learn more about your audience, you will realize pretty quickly that not EVERYBODY is your audience. With enough time and the bigger your business grows, you will start attracting the right audience. However, every now and then haters are gonna hate and you may receive not so nice feedback. Responding to such feedback has to be done strategically. You can’t just run and change your website or your product because of a bad review or a hateful comment. No matter where it is coming from. Learn to differentiate valuable feedback from noise and react when it aligns with your business goals and your brand. Be aware of common patterns within the feedback you receive. If you notice constant demand for certain type of content, service or feature, investigate the possibility of responding to the demand with a killer offer. The offer exists because there is demand. 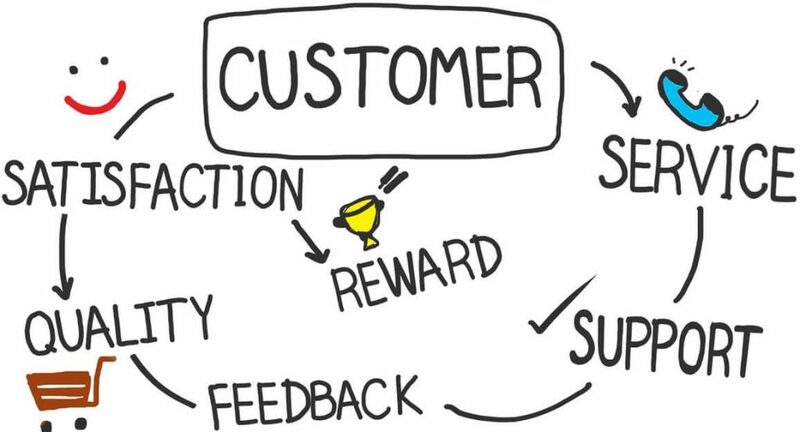 Align your business goals to your customer needs. What can you do now to start building a delightful user experience? The main navigation of your blog should give a clear idea of who is this website for and what can be found in it. Otherwise, if it is not very clear what will your visitors find under each category/section, they will find it hard to understand what are you offering to them. Make sure the main/top navigation is always present in all sections of your website. Including your sale pages! Simplify the navigation making it easy for the visitors to browse across all your sections. Some sections may be seen as overlapping and therefore will make it difficult for a visitor to decide where to go next. Combine categories that are pretty similar. e.g parenting, motherhood. Make sure that visitors have a crystal clear idea of what’s the difference between each section of your site and where can they find what. Link to HOME may not be needed since naturally, users tend to use the logo as a way back to home. You can use this real estate for future sections. Integrate your blog categories as sublevels of your main menu. Given that most readers will skim while reading, you want to make sure you drive them to the most important bits of your content. In general, clean design is a impactful aspect that most bloggers forget about. Used the concept of the inverted pyramid and place the most valuable content at the top and the less valuable at the bottom. For each of the points above, you can define which content will help you to achieve this goal more efficiently. This will give you an idea of which content needs to be prioritized. You can use tools like Hotjar to track how far down visitors scroll and which elements of your site draw more attention. Make sure there is immediate identification of your brand with a unique name and logo. Consider balancing space to give your users a teaser of what’s the newest content available on your website. Offer immediate access to your social media handles, this may encourage engagement. Define a clear call to action for your visitors: “See latest articles”, “Get a freebie” (related to your main offer), “Join a challenge” (It should be clear how to join e.g. via email). Always make sure that your visitor can clearly see what is the next step you want them to take. On your post or about pages, highlight the pieces that you want your reader to remember. Make use of images, bold text, and quotes to make the posts more digestible. Simple block text usually doesn’t get the attention of the reader enough to finish reading. Entice your visitors with little visual breaks between the blocks of text. Review the structure and make paragraphs of at least 3 sentences. Use bullet points or numbering lists. Minimize the size of your images, this will reduce the length of the page so the user doesn’t have to scroll down too much to see your content. The aim is to make it easy to the eye and also scannable. This way the reader can focus on the most important points. Your cookies band! Make sure is not covering critical pieces of your content like your sign up bar or social media handles. Make sure that elements don’t hide each other. Always be careful with pop up forms. Make sure it is easy to close them and that they don’t stay in a corner where the critical feature is behind. Google may not index hidden content on mobile devices vs. fully visible. Make sure you test your website on the most common browsers and devices. You can check your analytics to find out which devices and browsers your visitors are using. Contrast: That light pink may be your brand color but be careful with light/pastel colors over white. Make sure that text in forms fields, hyperlinks are clearly readable. Consider increasing the size of your font. Nothing much more to say but keep in mind your audience age. As much as possible avoid italics. Italics have proven to be hard to read. Find alternatives to highlight text. Choose your brand colors wisely. Emilia Ohrtmann knows better. Make sure images are sized properly so they fit in your elements. Avoid cut offs when using images in smaller widgets. Text on images, simply avoid it unless you have strong contrast and very short text. Never rely on having your text only on image. Keep in mind images may not be displayed properly in all environments. Use meaningful pictures that relate to your content and the story you are telling. Branding: Define a logo and a headline that describes your brand and the purpose of the blog as well as the target audience. Normally visitors will be driven towards the footer in look for contact details. Include your social media handles as well as an additional point of contact. The space taken by your footer should be optimized. Avoid placing long lists, Twiter feeds or Instagram feeds. Use your sidebars for feeds. Keep contact details and quick links in the footer. Labels/names of each of your sections should provide a clear indication of the content behind it. Keep them short, welcoming and sassy. Be careful with the use of acronyms, don’t assume your audience is completely familiar with your language. Keep your language simple, remember Internet is an international environment. Dont forget your international audience. Make sure you handle errors by creating a proper error handling page or using redirects. You can use SEMrush Site Audit and get a “health” report for your site every month. You will be alerted of errors including broken links on your website. Why should you care about user experience on your blog? User eXperience for bloggers is one of those overseen aspects that impacts your blog success. Online businesses have a lot to take on and attention is pretty dispersed. However, sometimes the tiny little things could make a big difference. Having a reliable, functional website very often is seen as an unattractive technical issue to be addressed later. This could be costing you customers, unsatisfied potential customers who left your site because couldn’t be bothered to figure out how to use your website. User experience is not a step in a process. Excellent or delightful user experience is the goal of the product, it is within the product or service. Basically, delightful UX should be the outcome and not a task. As with any other project goal, you need to keep it in mind at all times. Now over to you, what action can you take today to improve your blog’s UX? Lots of good info here! Will pin to come back to in more detail later! Make sure to come back for your website review checklist. Thanks for all the information. I didn’t know the most of it but at least from now on I can work on it. Sure! Let us know how can we help you. This is such an informative piece. There are days a think “my blog is up and running, now what?” I will be pinning this article, so I can look back on it to continue to better my user experience. Thanks! Now what? Make sure you get our website review checklist. It will help you go through the aspects that have an impact on your visitors’ experience. how important and precise is this! I have seen some sites that I didn’t even last a minute just because the lay out itself is so messy. Both content and functionality are so important. Agree!! Great content on a poorly performing site gets lost! I had never thought about my blog from this standpoint before. Thank you for enlightening me with this information. I will definitely look into my set-up and make sure it is ideal for the reader. We are delighted you find this useful. Don’t forget to get your website review checklist, it will help you to check your current set-up. An easy way to spot some of the errors is to create a free account in semrush and run a site audit. It will allow you to analyze a max of 50 page per month. Very informative and well explained article. I will keep in mind all the above points while working on my website. I didn’t knew about Hotjar. Thank you for sharing useful points. We will keep updating it. We are very glad you find these quick tips useful. Great article! I just started a blog and have bookmarked your post for future reference. Let us know how can we help you with your new blog! There are so many details to consider! You’ve done a great job of laying them all out in this post. I know that my site has room for improvement (it’s a work in progress) so I’m saving this post for later when I can go through it a little at a time. We are offering website reviews for FREE for a limited time. Would you be interested? We might be able to help you find those quick improvements for your site. These are some awesome tips! I am currently trying to better my blog and will be implementing some of these that I have not done yet! We are very happy that you find the tips useful. Let us know how we can help you implement some of those. This is something I have been trying to work on within every post. Yet I found even more helpful l info within this post. Thank you! Oh and thanks for the tinyjpeg recommendation. I’m going to check it out! You are welcome! Optimising your images makes a huge difference on your website performance. tinyjpeg works great! This was a really great breakdown of many things. Its great and insightful advice I’ll now have in the back of my mind when building our blog! So thanks! What is your blog about? Would you like us to help you to find the focus points when launching a new website? Very very informative and detailed. Loved literally had no idea it is my job to handle error😁. I want to try SEMrush Site Audit to get on top of that. How much does it cost? SEMrush can be expensive. However, if you have a free account, you will receive a monthly site analysis up to 50 pages. As a starting point, the free features are already quite helpful. Very informative and useful. Detail, I think I need to read again and check in my blog. I made blog by wordpress and another by blogspot. Thank you for sharing this article. I read every single word carefully. Thank you for this insightful advice. I will be messaging you for a website review.